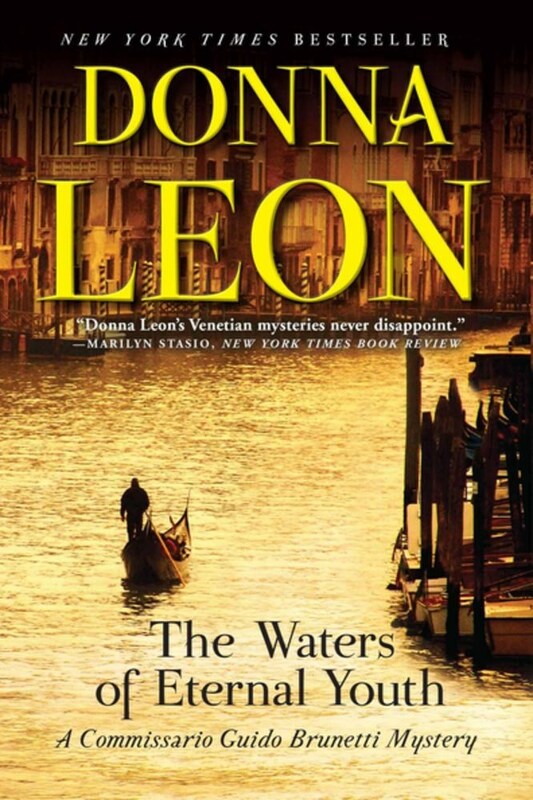 This month we are reading The Waters of Eternal Youth by Donna Leon, the 25th book in the Commissario Guido Brunetti mystery series. In Donna Leon's Commissario Guido Brunetti series, the Venetian inspector has been called on to investigate many things, from shocking murders to petty crimes. But in The Waters of Eternal Youth, the 25th novel in this celebrated series, Brunetti finds himself drawn into a case that may not be a case at all. Fifteen years ago, a teenage girl fell into a canal late at night. Unable to swim, she went under and started to drown. She survived thanks to a nearby man, an alcoholic, who heard her splashes and pulled her out, though not before she suffered irreparable brain damage that left her unable to learn or mature. The drunk man claimed he saw her thrown into the canal, but the following day he couldn't remember a thing. Now, at a fundraising dinner for a Venetian charity, a wealthy and aristocratic patroness--the girl's grandmother--asks Brunetti if he will investigate. Brunetti's not sure what to do. If a crime was committed, the criminal surely would be protected by the statute of limitations. But out of a mixture of curiosity, pity, and a willingness to fulfill the wishes of a guilt-wracked older woman, Brunetti agrees. Brunetti soon finds himself unable to let the case rest, if indeed there is a case. Awash in the rhythms and concerns of contemporary Venetian life, from historical preservation to housing to new waves of African migrants to the haunting story of a woman trapped in a damaged perpetual childhood, The Waters of Eternal Youth is an exquisite novel, perfect to mark twenty-five years of this beloved series.